It appears that my earlier speculation was correct, 105 essences will be crafted. 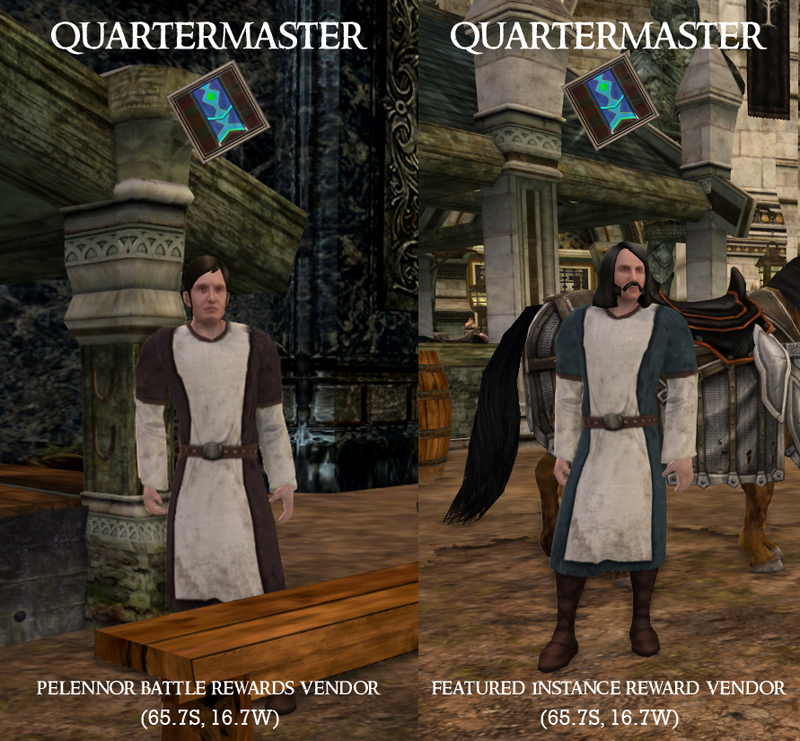 Recipes can be found at the Quartermasters in Minas Tirith (near the entrance gate) and via the Featured Instance Amethyst Box of Spoils. The essences (purple versions) also drop via the new instances and can be bartered for via a Quartermaster in Taur Druadan (see below). Morgul Crests can be acquired via T2 / T2C Osgiliath instances and T2 / T2C The battle of the Pelennor Fields instances. These coins are found as rewards for completing the Featured Instance. You get 5 coins per completion. While the coins are bound to character, the recipes that you trade coins for, are not. This is a new reward system designed to get people playing the older content (scaled). You can read more about it here. Essentially you can run the featured instance once per day per character. Each week the feature instance changes to a different one. One of the rewards for doing the Featured Instance is an Amethyst Box of Spoils. These can contain essence recipes. Once you have obtained your recipe you are ready to craft them. Once you have crafted the essence you are free to use them, trade them, or sell them; they are not bound. Those with core stats (Might, Agility, Will) have two versions. During the crafting process you can choose which you wish to craft. The other essences only have one version. In addition, you can barter Rep items for Far Anórien Essence Boxes (you choose what purple essence you get). The Quartermaster is located at 45.5S, 27.3W on the Taur Druadan map (due north of Eilenach). You will need 10 Exquisite Wood Carvings and 8 Polished Marble Trinkets to get a Far Anórien Essence Box. What will be the starting gear for featured instances? The lvl100 essence armor + lvl100 essences? Or maybe lvl101-105 quest items? If the former, then remain valuable the old gear for a while. Perhaps there will be some start-up equipment daily quests? The Featured Instances are supposed to drop level appropriate gear. I have not seen 105 gear drop in sub 105 instances.